String of Pearls (Senecio rowleyanus) The plant you will receive is growing in a 4" pot Use either a balanced or low-nitrogen formula at low levels, but frequently---March through October Soil: Should be loose and porous like a cactus soil String of Pearls, is a popular and low-maintenance plant to grow in a sunny window. String of Pearls (Senecio rowleyanus). 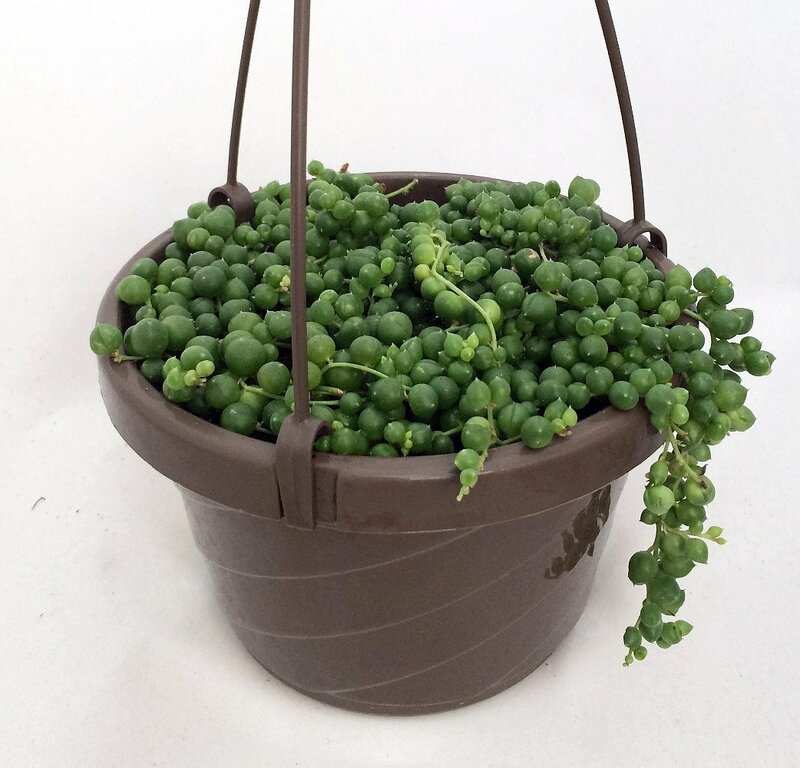 The String of Pearls is a member of the senecio family, which also includes 'Dusty Miller', 'German Ivy' and 'Cineraria', to name a few. Although the senecios vary widely, they have similar requirements and many of their delicate, succulent tapestries fill the same horticutual niche. 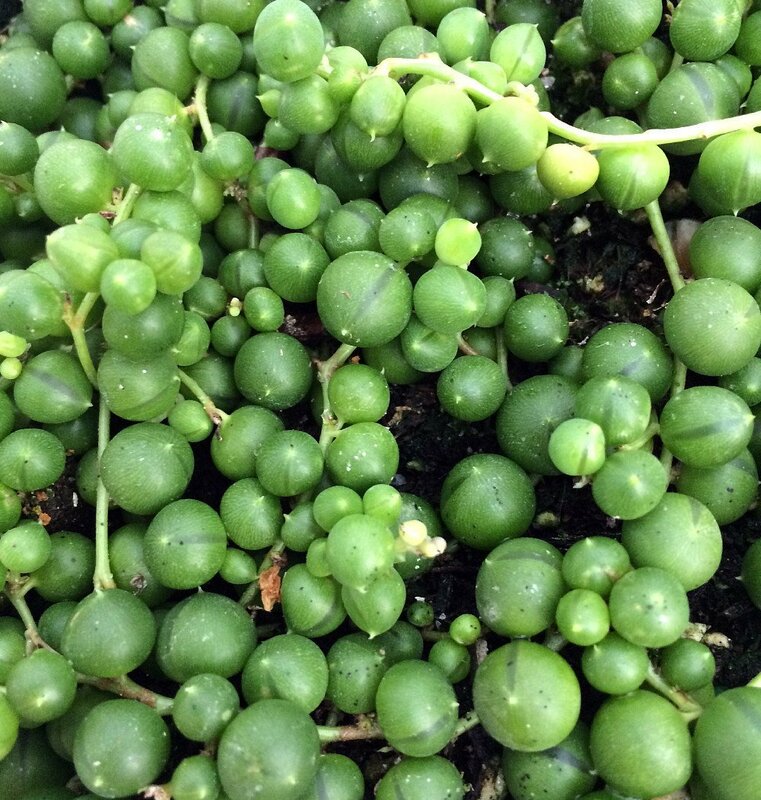 String of Pearls, is a popular and low-maintenance plant to grow in a sunny window. It is a slow-growing variety, but your patience will be rewarded. Light: Window. Water: Water when surface is dry. They are forgiving if you forget. Fertilizer: Use either a balanced or low-nitrogen formula at low levels, but frequently---March through October. Soil: Should be loose and porous like a cactus soil. 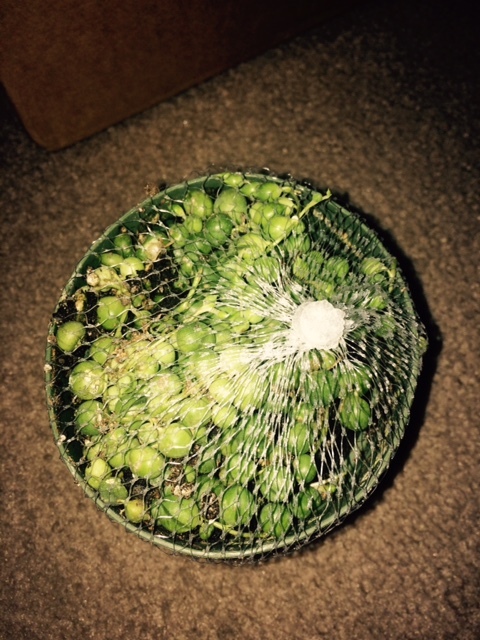 Second picture shows a 4 inch potted string of pearls, The third picture shows a 6 inch hanging basket pot string of pearls.